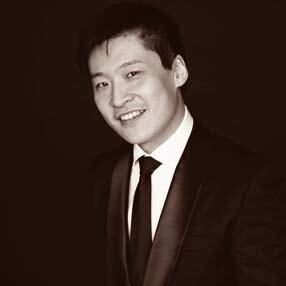 Kristian Chong is one of Australia’s leading pianists. A graduate of the Royal Academy of Music in London, he has played as a soloist with Australia’s major orchestras and many orchestras abroad. Kristian is especially in demand as a chamber musician and has partnered many renowned ensembles and musicians, including the Australian String Quartet, Tinalley Quartet, violinists Natsuko Yoshimoto and Sophie Rowell, cellist Li-Wei Qin and baritone Teddy Tahu Rhodes to name a few. He currently teaches chamber music and piano at the Melbourne Conservatorium of Music, is a ‘Friend of Australia’ for Tourism Australia, and is also currently completing a cycle of Beethoven Piano & Violin Sonatas with Rowell and Yoshimoto at the Melbourne Recital Centre.